BE IT REMEMBERED that the Board of Supervisors of Winston County, Mississippi, held the FEMA Kickoff meeting at the Courthouse in the City of Louisviile, Mississippi, at 10:00 am, this the 21St day of May, 2014. The meeting with FEMA was an informative meeting for the safety and welfare of the citizens of Winston County, Mississippi. Proper procedures for categories of damage, claims, volunteers,endangered species, debris removal and disposal, monitoring, and damage to buildings were discussed. Present and constituting the Board were Honorable James “Burr” Warner, District One; Honorable Luke Parkes, District Two; Honorable Mike Peterson, District Three; - and Honorable Larry Duran, District Five. Also present were FEMA representatives and Honorable Julie Cunningham, Chancery Clerk of Winston County. BE IT REMEMBERED that the Board of Supervisors of Winston County, Mississippi, met in an open meeting at the Courthouse in the City of Louisville, Mississippi, at 9:00 am on Tuesday, May 20, 2014, for the consideration of requests for proposals for removing debris and for monitoring services for debris removal due to damage caused by the April 28, 2014 tornado. At the time of this meeting, Winston County was operating under an Emergency Disaster Declaration proclaimed by the Board of Supervisors, the Mayor and Board of Alderman of the City of Louisville, the Governor. of the State of Mississippi and the President ofthe United States. Present and constituting the Board were Honorable James “Burr” Warner, District One; Honorable Luke Parkes, District Two; Honorable Mike Peterson, District Three; and Honorable Larry Duran, District Five. Also present were Board Attorney Hugh Hathorn, Brenda Jarrett of Broaddus and Associates, and Honorable Julie Cunningham, Chancery Clerk of Winston County. BE IT REMEMBERED that the Board of Supervisors of Winston County, Mississippi, held a regularly scheduled meeting at the Courthouse in the City of Louisville, Mississippi, at 9:00 am, this the 19th day of May, 2014, the same being duly noticed and posted to all necessary parties. At the time of this meeting, Winston County was operating under an Emergency Disaster Declaration proclaimed by the Board of Supervisors, the Mayor and Board of Alderman of the City of Louisville, the Governor of the State of Mississippi and the President of the United States. Present and constituting the Board was Honorable James “Burr” Warner, District One; Honorable Luke Parkes, District Two; Honorable Mike Peterson, District Three; Honorable Gloria Turnipseed, District Four; and Honorable Larry Duran, District Five. Also present were Board Attorney Hugh Hathorn, Honorable Jason Pugh, Honorable Julie Cunningham, Chancery Clerk of Winston County, Joseph McCain from The Winston County Journal, Deputy Keith Alexander, and Bookkeeper Debbie Sullivan. Also present were William McCully from Winston Web News, WCCRCF Warden Neal Higgason, Circuit Clerk Kim Ming, Brenda Miles, Thurman Eichelberger, Elmetra Patterson, Audrey Griffin, Angie Griffin, Mike Forster, Richard Moncrief, and Buddy King, EMA Director. BE IT REMEMBERED that the Board of Supervisors of Winston County, Mississippi, held a meeting at the Courthouse in the City of Louisville, Mississippi, at 9:00 am, this the 14"1 day of May, 2014, for the purpose of discussing imminent threats to the safety of the public health and safety of our citizens caused by the April 28, 2014 tornado. 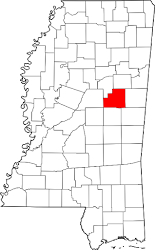 Said tornado devastated many areas of Winston County, Mississippi, and the Winston County Board of Supervisors was seeking the help of State and Federal Government entities. At the time of this meeting, Winston County was operating under an Emergency Disaster Declaration proclaimed by the Board of Supervisors, the Mayor and Board of Alderman of the City of Louisville, the Governor of the State of Mississippi and the President of the United States. Emergency Meeting! Requests for Proposals for Debris Removal and MonitorBE IT REMEMBERED that the Board of Supervisors of Winston County, Mississippi, held a meeting at the Courthouse in the City of Louisville, Mississippi, at 9:00 am, this the ‘l2th day of May, 2014, for the purpose of discussing imminent threats to the safety of the public health and safety of our citizens caused by the April 28, 2014 tornado. Said tornado devastated many areas of Winston County, Mississippi, and the Winston County Board of Supervisors was seeking the help of State and Federal Government entities. At the time of this meeting, Winston County was operating under an Emergency Disaster Declaration proclaimed by the Board of Supervisors, the Mayor and Board of Alderman of the City of Louisville, the Governor of the State of Mississippi and the President of the United States. BE IT REMEMBERED that the Board of Supervisors of Winston County, Mississippi held a meeting at the Courthouse in the City of Louisville, Mississippi, at 9:00 am, this the 9th day of May, 2014, for the purpose of discussing imminent threats to the safety of the public health and safety of our citizens caused by the April 28, 2014 tornado. Said tornado devastated many areas of Winston County, Mississippi, and the Winston County Board of Supervisors was seeking the help of State and Federal Government entities. At the time of this meeting, Winston County was operating under an Emergency Disaster Declaration proclaimed by the Board of Supervisors, the Mayor and Board of Alderman of the City of Louisville, the Governor ofthe State of Mississippi and the President of the United States.